Pastor Anthony Woods grew up in the East Oakland neighborhood of Brookfield Village. At the age of 14, his family moved to Hayward California. Pastor Woods’ academic and athletic accomplishments at Mt. Eden High School got the attention of several colleges. However, it was during these high school years that he met Pastor Charles F. Bennett of Palma Ceia Baptist Church, who had a greater impact and influence on his life than college recruiters. Under the teachings of Pastor Bennett, at the age of 17, Pastor Woods gave his life to the Lord. Pastor Woods went on to attend Dartmouth College in Hanover, New Hampshire. While at Dartmouth, Pastor Woods played on the Basketball team, sang in the Dartmouth College Gospel Choir and Hosted an AM Radio Program titled “The Luke 4:18 Gospel Show”. 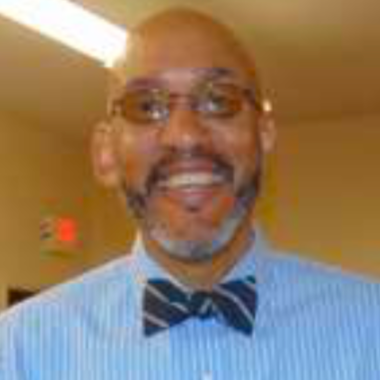 In addition, Pastor Woods took several courses in Religious Studies, including an exposition on the Book of Romans. While at Dartmouth, Pastor Woods traveled to Blois, France where he lived and studied French Literature and Architecture. Following his graduation from Dartmouth with a AB Degree in Political Science, Pastor Woods attended Hastings College of the Law before establishing a solo law practice for 15 years. Nevertheless, God was always his first love. In 1990, Pastor Woods accepted the call to the Ministry, and was licensed by Pastor Bennett. Thereafter, in 1996, Pastor Woods was ordained by Pastor Marine Erby at the New Pleasant Grove Baptist Church in Sacramento, California. While living in Sacramento, Pastor Woods served as the Youth Minister at New Pleasant Grove Baptist Church. In 2000, Pastor Woods established a nonprofit organization dedicated to the teaching the Word of God to the disenfranchised of Alameda County, and now serves on the Board of Directors of the Oscar Grant Foundation. Currently, Pastor Woods serves as the Youth and Assistant Pastor Palma Ceia Baptist Church in Hayward under Pastor Tommy E. Smith, Jr.